Thank you again for another amazing summer of theater and friendship in Maine. We hope you are enjoying your September as the start of the school year and Fall auditions begin! This month's newsletter has some important information about 2017 registration, the early bird discount, and much more. Registration for the 2017 summer is now open!! In order to take advantage of the $150 Early Bird Discount, you must register by October 15. Don't worry, you can switch sessions later in the year if you are not sure or even add a second session. You don't have to make the full commitment to camp now, only a $300 deposit is required to lock down your discount. Register Now! "I am thrilled to be joining the Acting Manitou family and I'm already counting the days until the summer of 2017 begins! I love camp. I have been fortunate to have spent many of my summers at camp. My first few summers were as the toddler of a camp doctor. Finally at age 7, I was old enough to attend overnight camp myself. In college, I was a counselor and unit leader; and most recently I have spent the last 9 summers living at Camp Manitou for Boys (right next door to Acting Manitou!) where my husband has worked as the Instructional Coordinator. Some of my favorite memories as a camper include swimming across the lake to the island (and back! ), hiking a few of the "Presidential Mountains" in New Hampshire, playing capture the flag, and sharing the part of Tinkerbell with my twin sister (we alternated scenes) in the camp's production of "Peter Pan" as a stage-shy 7 year old. 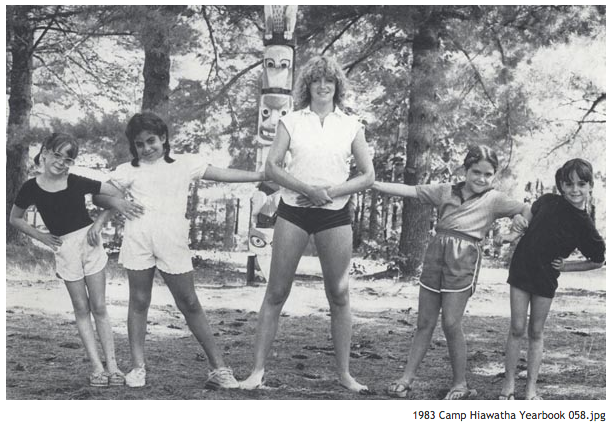 I'm on the far right - my first summer at overnight camp! 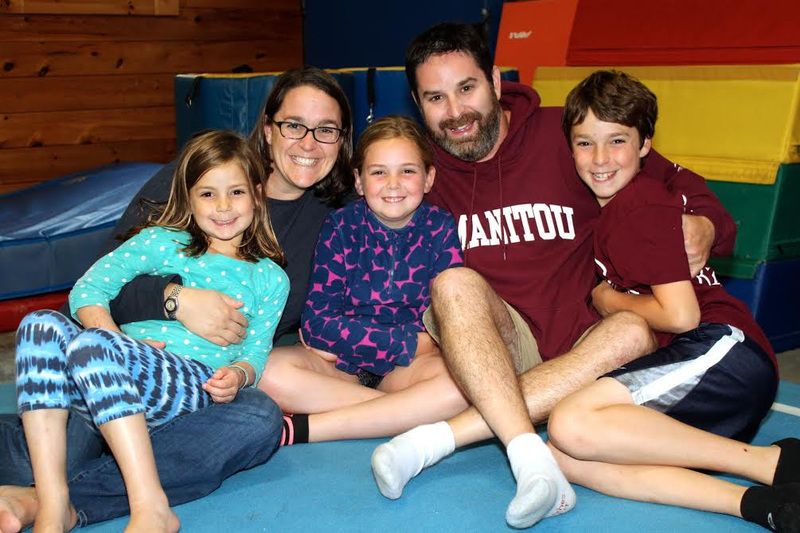 Now, my husband Josh and I have three children (ages 13, 10 and 7) who attend overnight camps in Maine. Each summer, I cry a little when I drop them off at their respective camps. My tears are not because I will miss them (of course, I do miss them immensely every summer), they are tears of joy because camp was absolutely a defining part of my childhood and I am so delighted that my own children get to experience overnight summer camp, too. 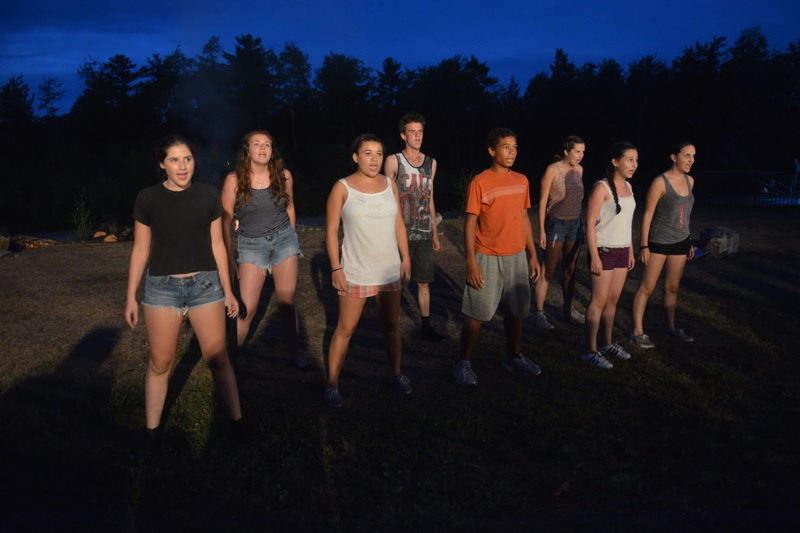 It may sound cliche, but there is truly no other experience that compares to overnight camp and I feel so lucky to now work at Acting Manitou! When we're not at camp, our home is in Brunswick, Maine." Huge thanks to all who donated to our scholarship foundation on show day this summer - thanks to you we raised almost $16,000 to use towards scholarships. This is a tremendous start to our fundraising season. Please consider helping us reach our goal of $40,000, we'd be very grateful! Every dollar raised goes towards tuition for campers in need of financial assistance. To donate now in support of scholarships for 2017, click the button below. It takes only 2 minutes to donate through Paypal. All contributions to AMSF are 100% tax deductible. Mark your calendars! #AMDAY16 is coming up. Wear your AM gear, post photos, win prizes! More information coming soon!